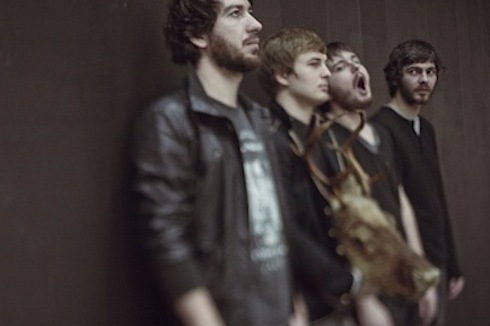 Hailing from the Far Eastern town of Khabarovsk, indie electronic outfit Sistra (or more correctly систра) was created in 2006 by Artem Gnesin (vocals), Roman Lopatkov (bass), Roman Murashtov (drums) and Arsenii Sysoletin (guitars). After three EPs and countless gigs around Russia and Ukraine, the quartet is now releasing their new single “Revolving in You” through their BandCamp. To hype up this new single, Sistra organised a remix contest ahead of the release and they are including the best remixes in the download bundle. Based on a combination of post-rock guitar riffs and heartfelt vocals, “Revolving in You” is a nice introduction to the band’s album, which is currently being recorded and should be out in May. Follow Sistra on Facebook and listen to more tunes on MySpace or SoundCloud.